Jan04 Comments Off on America’s First Daughter is a USA Today Bestseller! 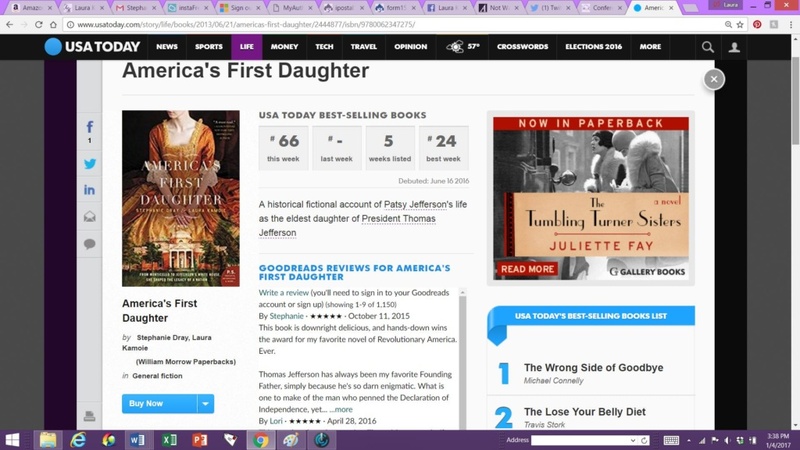 America’s First Daughter is a USA Today Bestseller! Friends! A huge and very thrilled THANK YOU for putting America’s First Daughter back on the USA Today bestseller list this week! We’re so appreciative for your support of the book and we’re totally Snoopy dancing over here! ← $1.99 Sale – one day only!